First gas stop, in Washington, MO, before making it to Dad’s house. 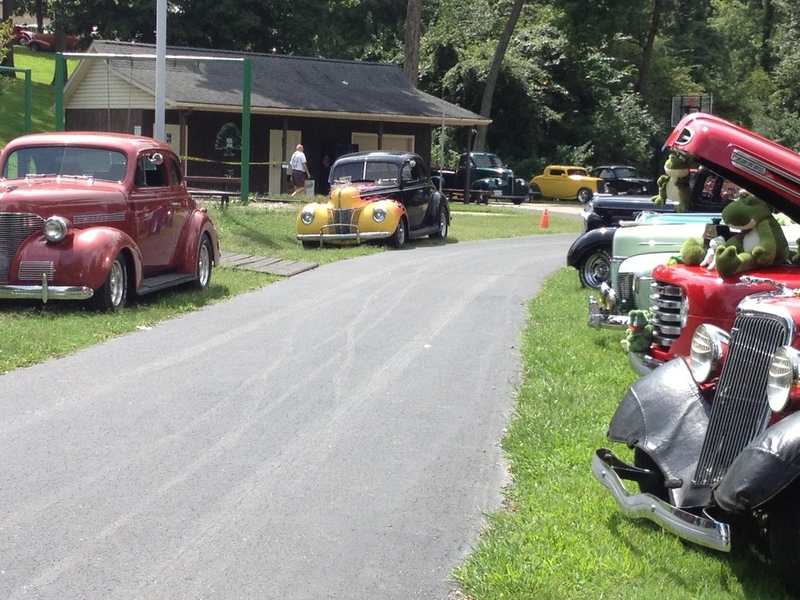 This past weekend was the E’Ville Iron’s 40th Annual Frog Follies. 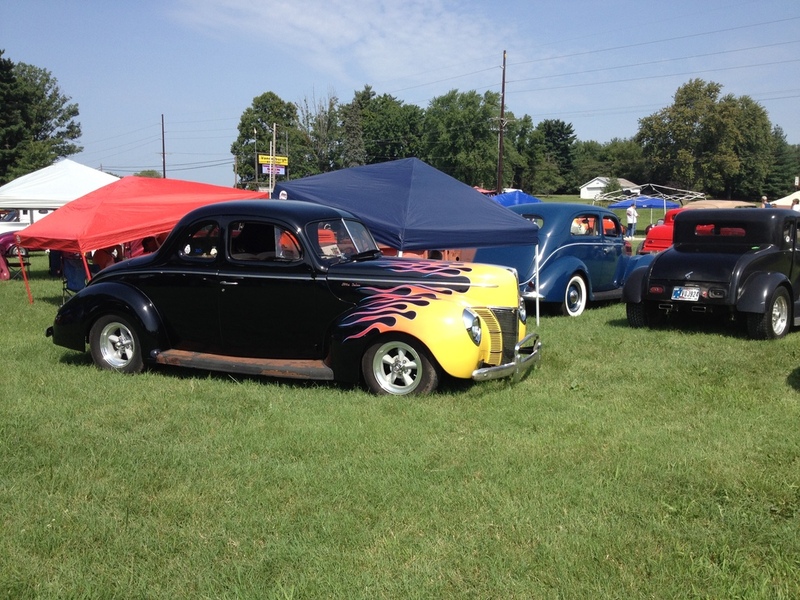 For years, I had heard folks talking about how it was such a great pre-1949 rod run, and it took until 2011 for me to see it first hand. It’s now become an annual “guys weekend” for my dad and me. Since I don’t get to spend much time with my dad, since we live over 200 miles apart, this is one of the weekends that I really look forward to each year. 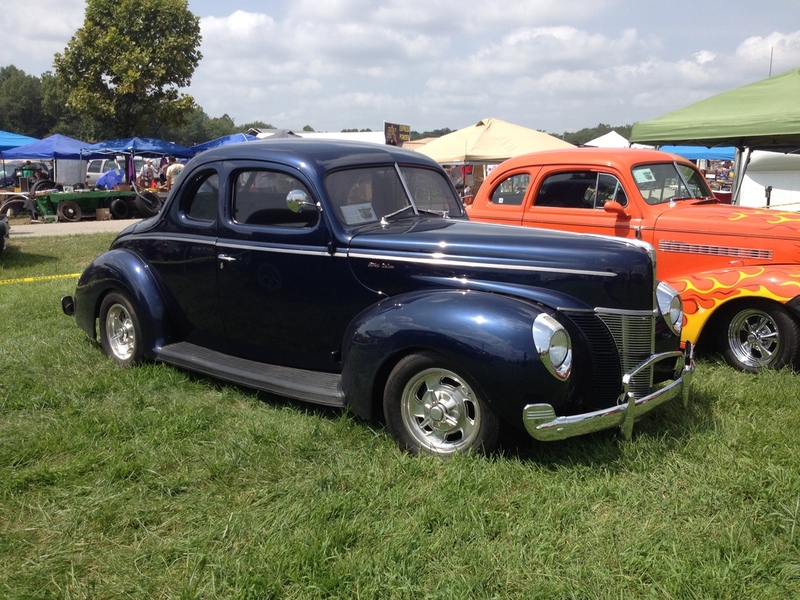 The first year, we did a “down and back” on the Saturday of the event, and we took my ’40 coupe. 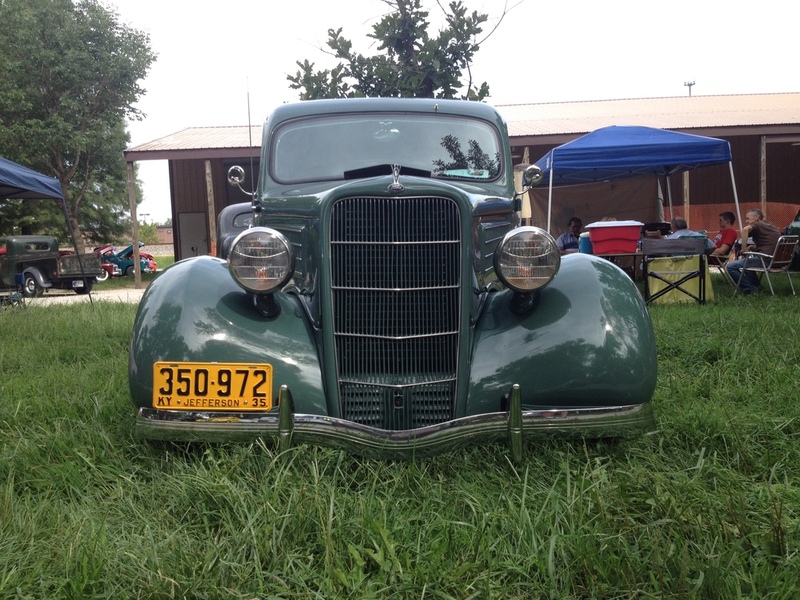 The next year, we did Saturday and Sunday, and took my ’40 stake truck. 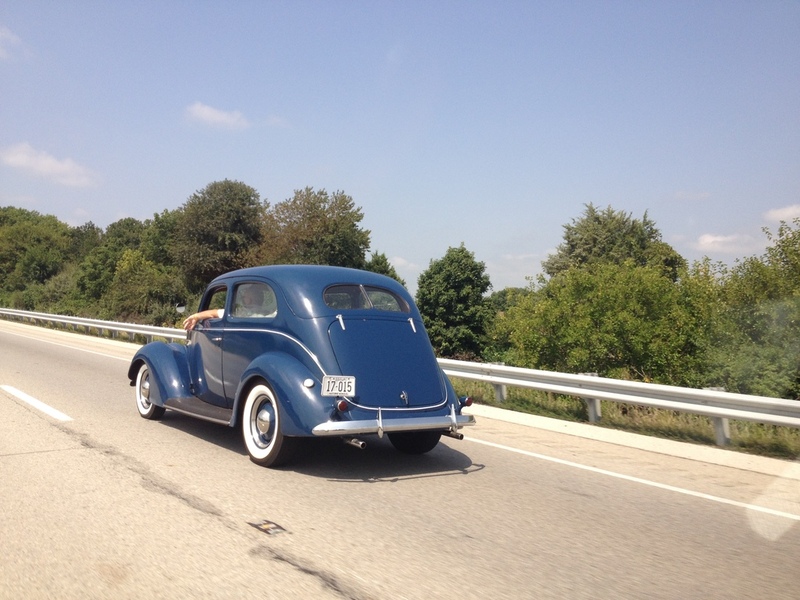 Last year, we took Dad’s ’34 sedan, and did all three days. 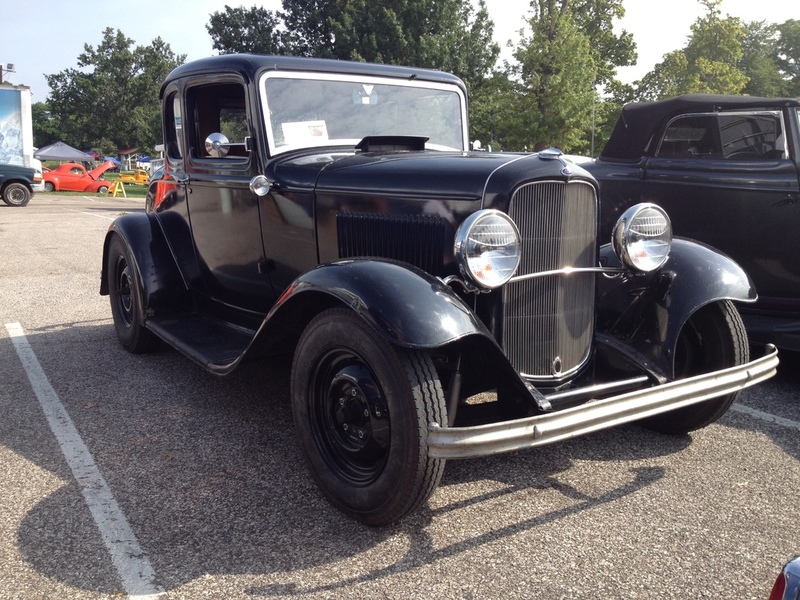 Since I couldn’t get him to let us get his ’32 sedan on the road, we decided to take the coupe again, this year. The weather was near 100 degrees each day, so we didn’t do a whole lot of walking around, and when we did, I was so hot that I didn’t even think to take pictures. I guess that made it seem like I was conserving energy or something! For me, yeah, the event is cool, but not as cool as running down the highway with Dad. Sometimes we talk about serious stuff, sometimes we just admire the scenery, but it’s time invested in this later in life relationship that I really enjoy. The first trip to Frog Follies resulted in another cool friendship. As Dad and I were blasting home, I passed a truck that I never paid attention to, since it was a “late model”. 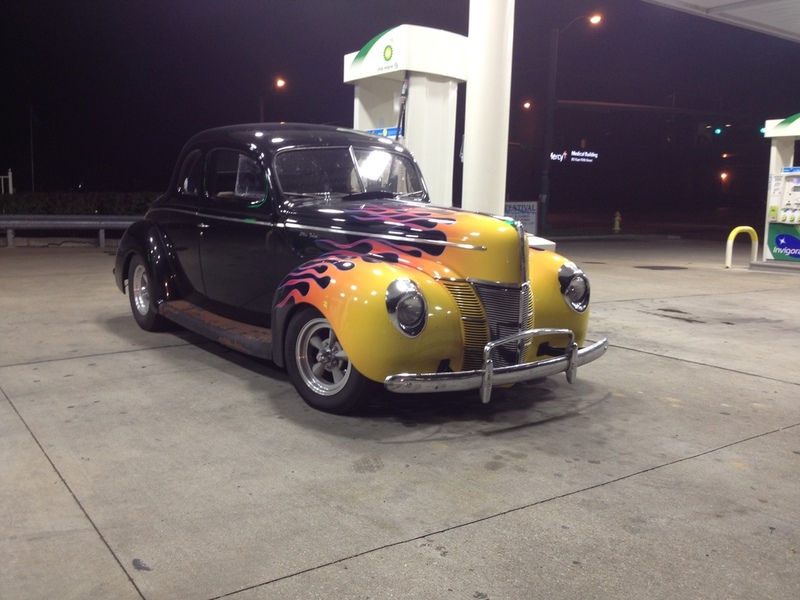 Later, when looking at someone’s photos on the HAMB, I commented that I appreciated their taking a photo of my coupe. 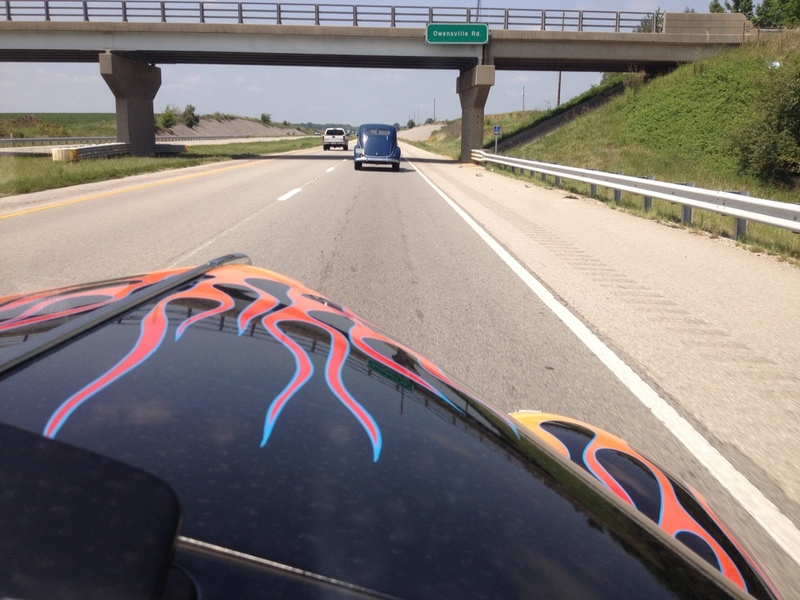 Clay Vance, the driver of the “late model” commented that I blasted past him and must have been doing upwards of 80 miles an hour! Over the next several months, we became buddies, and he recruited me into the CrossMembers Car Club. 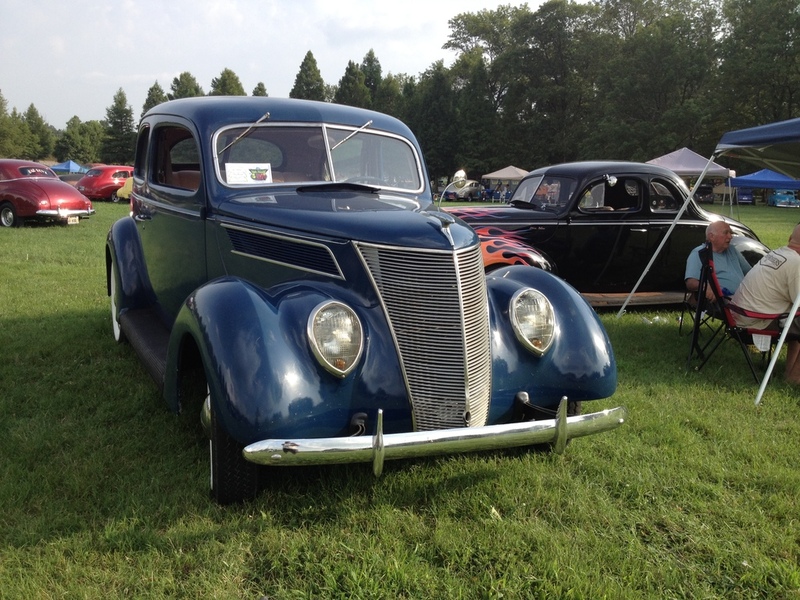 This year, Clay was able to drive his ’37 sedan, which was his Dad’s high school hot rod! Enjoy the photos. 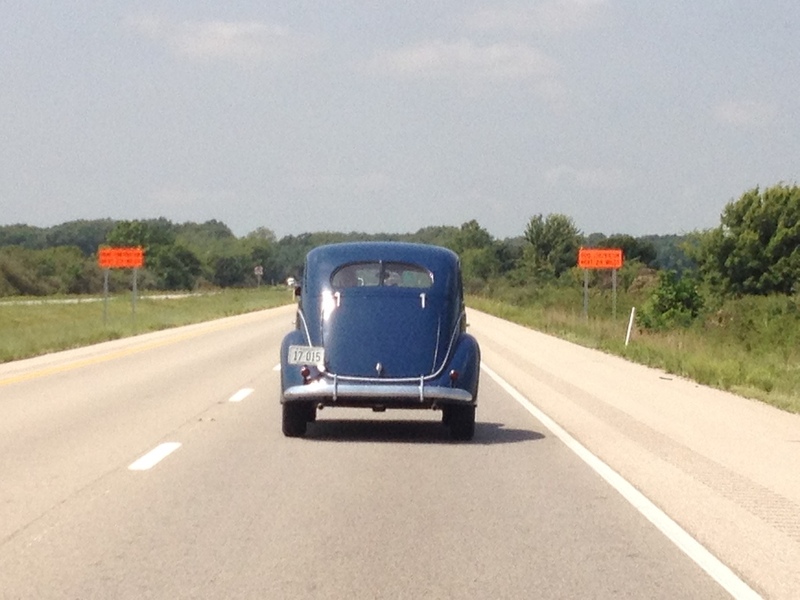 Most of them are of our adventure down the highway, or shots of Clay’s ’37 and my ’40, but hey…what’s new? I’m always posting shots of my stuff! 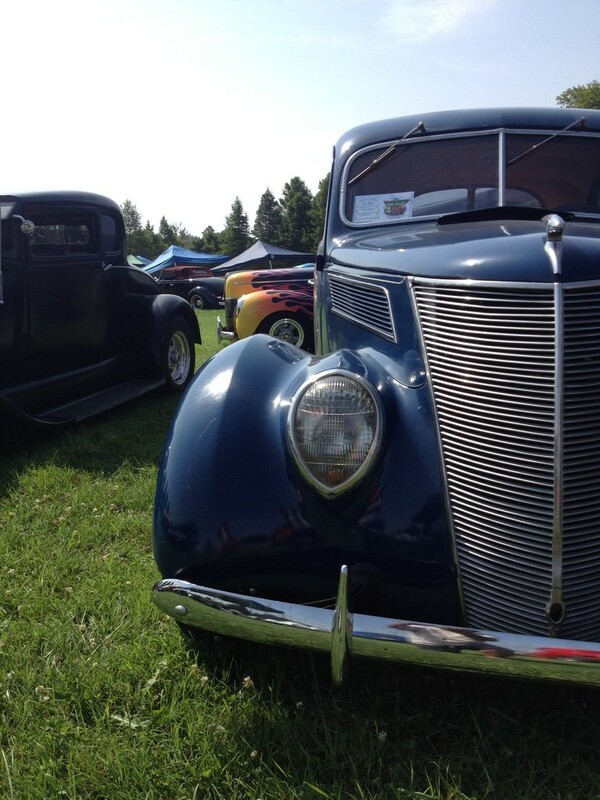 Remember to get the hot rods out and enjoy the drive! 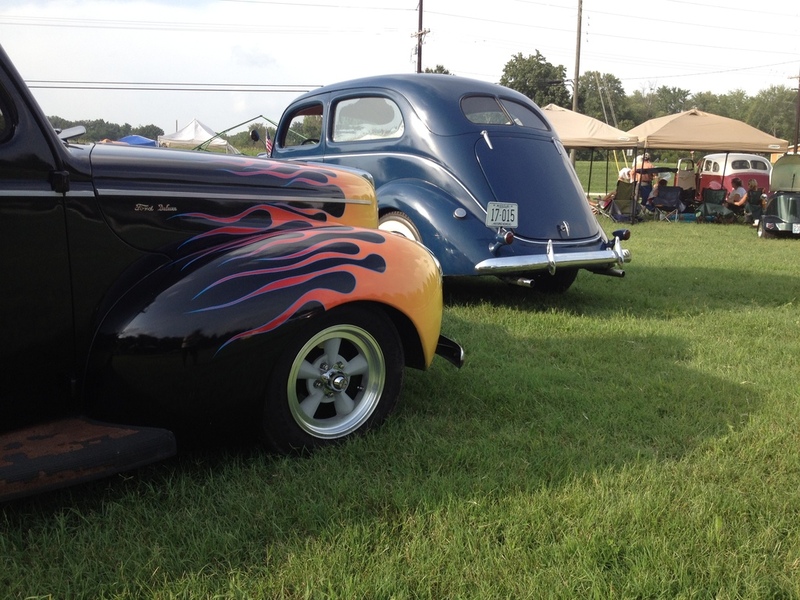 If you want to run with Clay and me, join us for the St Louis Hot Rod Hundred, on October 11, 2014! 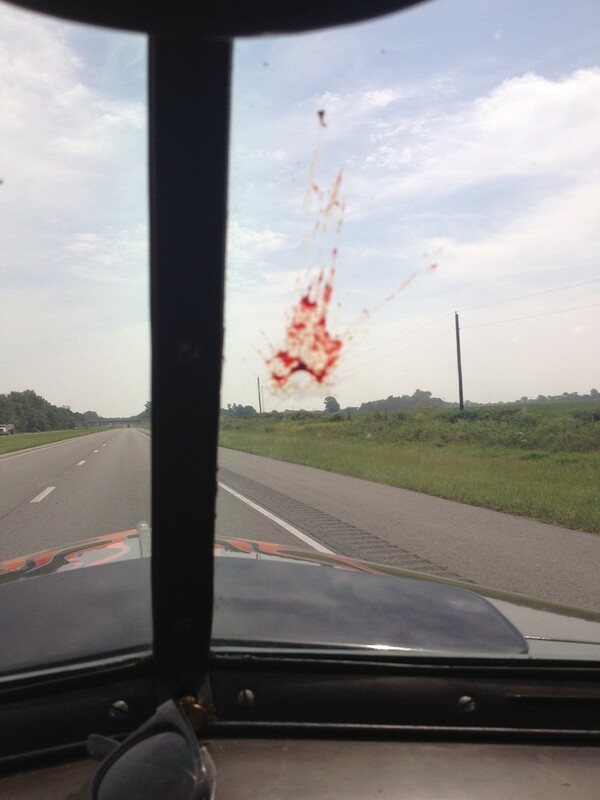 Dunno what it was, but that’s one of the nastiest splats I have ever seen. After nearly getting stuck in some mud, I opted to park by the playground. 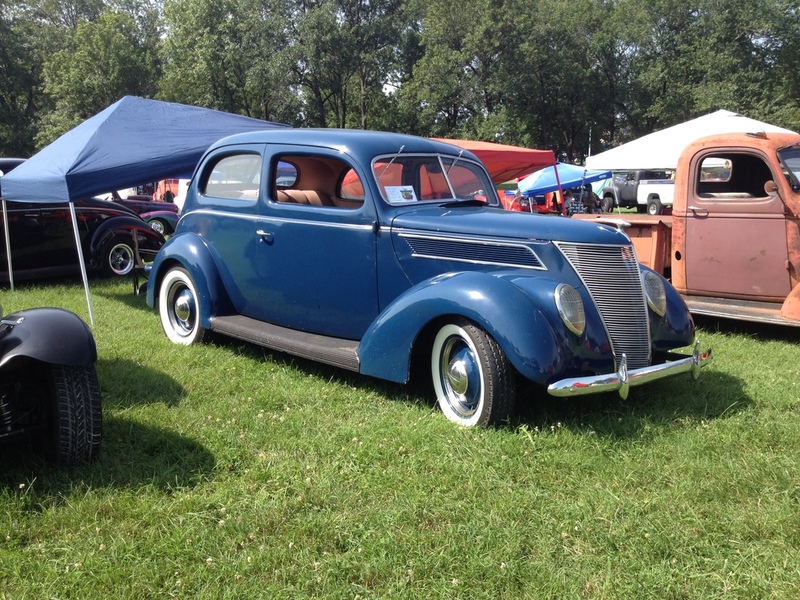 This 35 sedan was just way too cool. 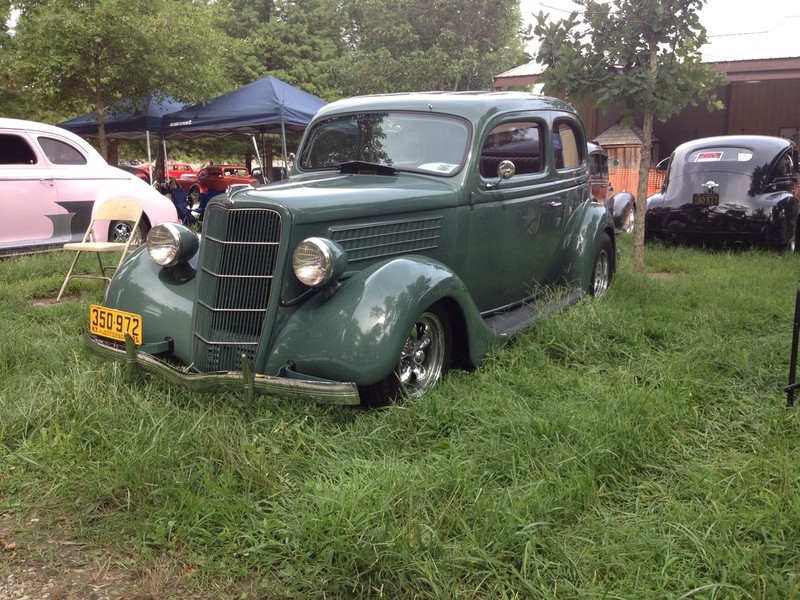 The ground was real soft and didn’t allow all the grass to be mowed before the event. And was definitely down in the weeds! My unintentional power parking location. 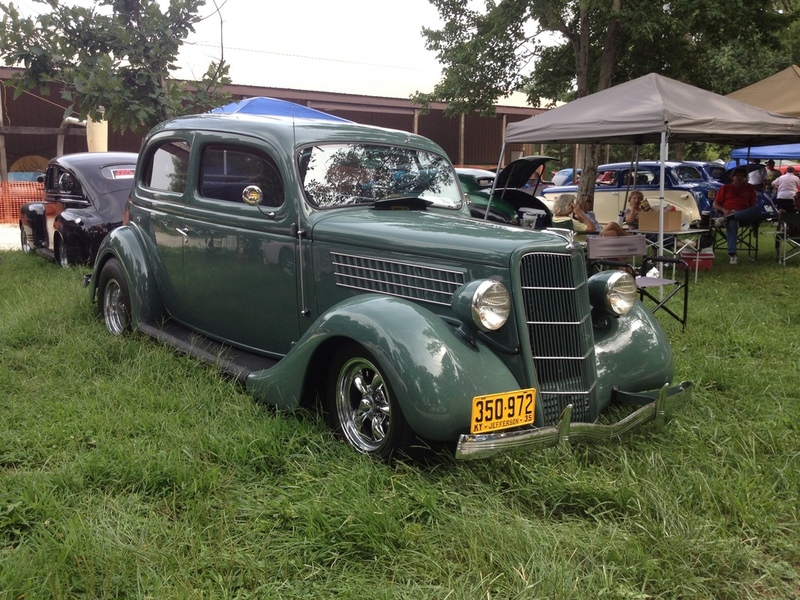 Clay’s ’37 finally made the trip to the Frog Follies. 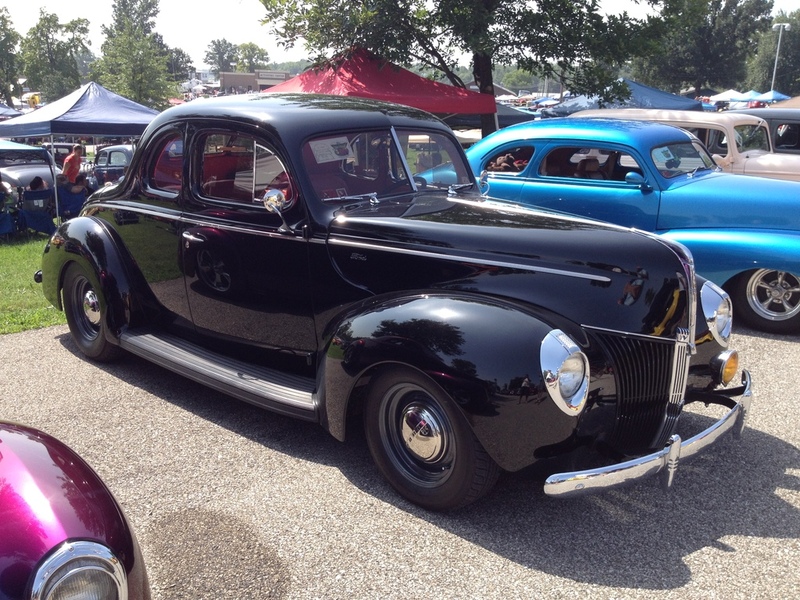 My coupe, photo bombing this stylish shot of Clay’s sedan. 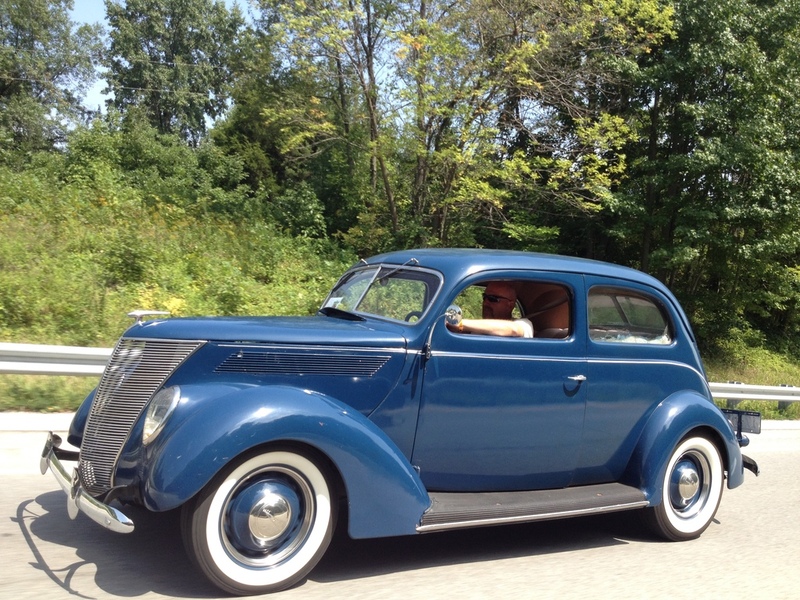 A way cool 40 standard coupe. 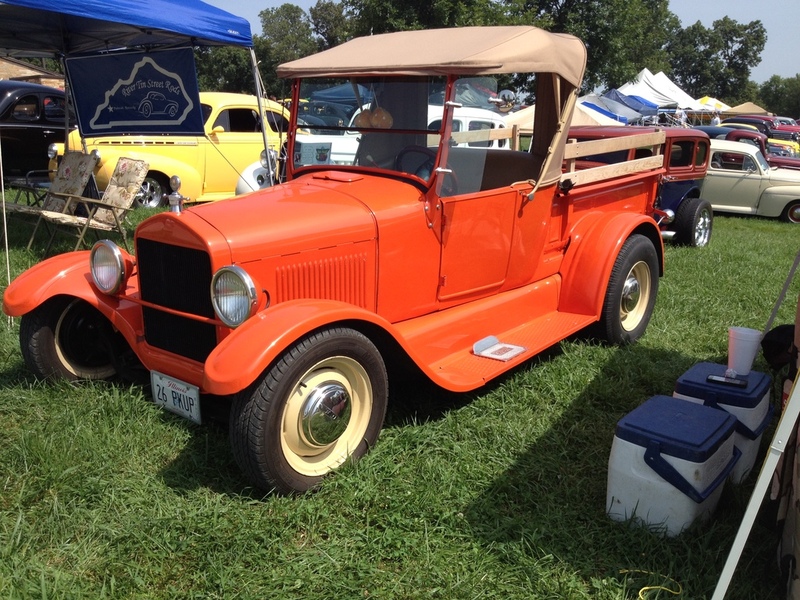 Don Albers built this T roadster pickup several years back. Still one I dig. 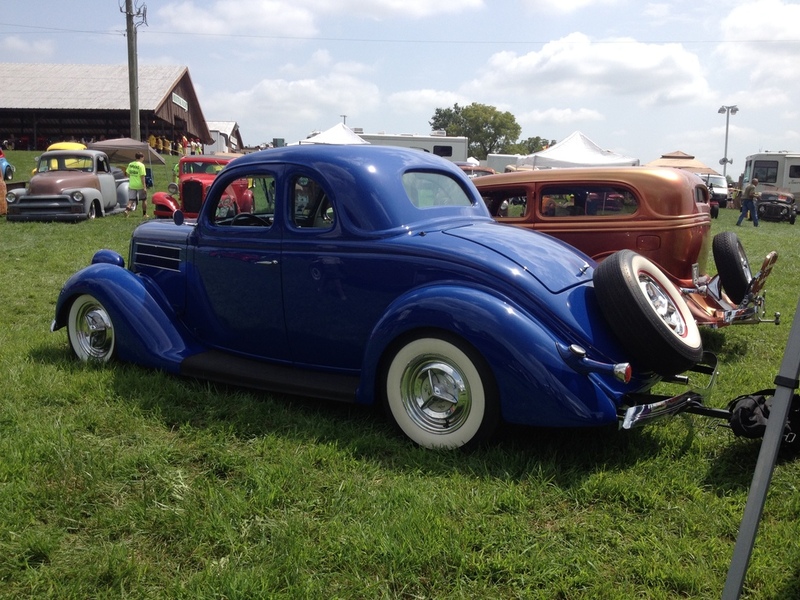 I think that I mentioned I like ’36 5 window coupes before. This one looked pretty cool. 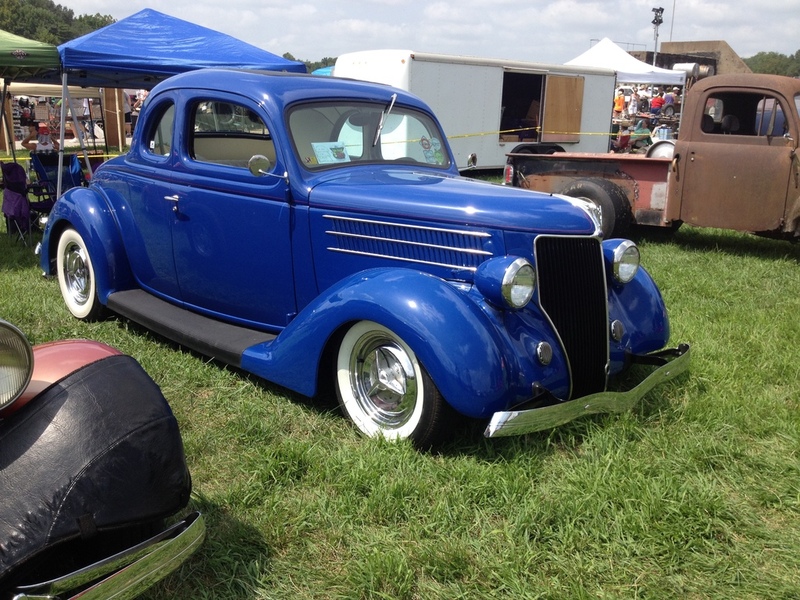 Good looking ’40 Deluxe coupe. 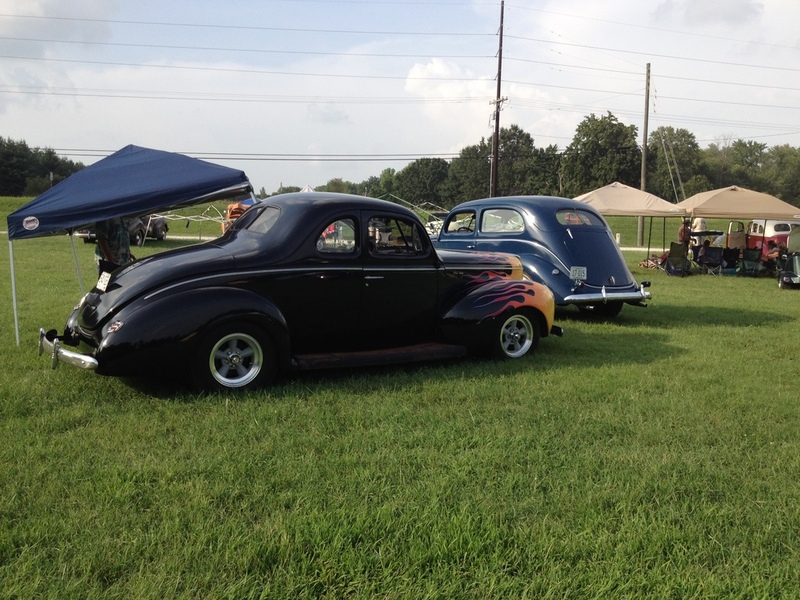 More photos of my coupe and Clay’s sedan. And another artsy fartsy shot. You can see my dad and Clay trying to beat the heat in under the pop up. 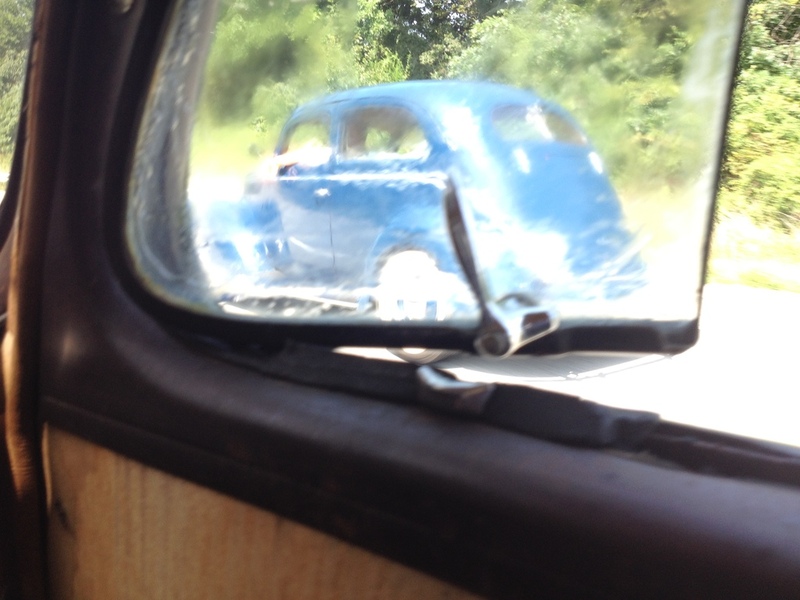 Mike Bauman’s super cool ’32 5 window. A dropped axle and it would be perfect. I don’t know why Dad says I need to change out my glass. Always fun to see the flame licks coming back at ya! Clay leading the way back to St Louis.